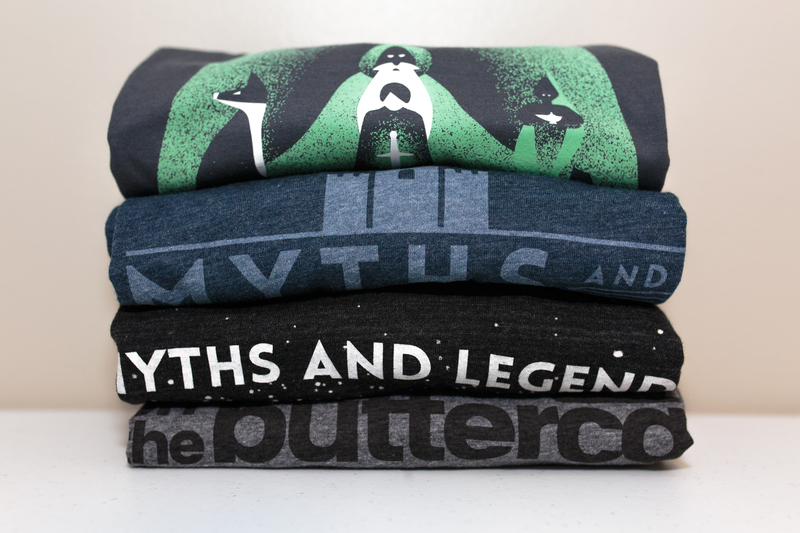 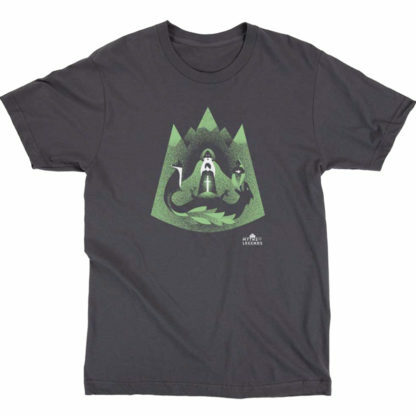 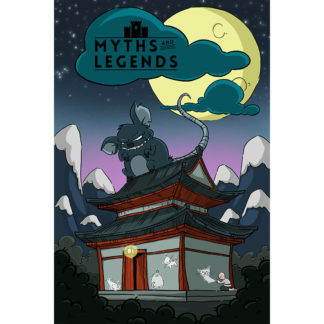 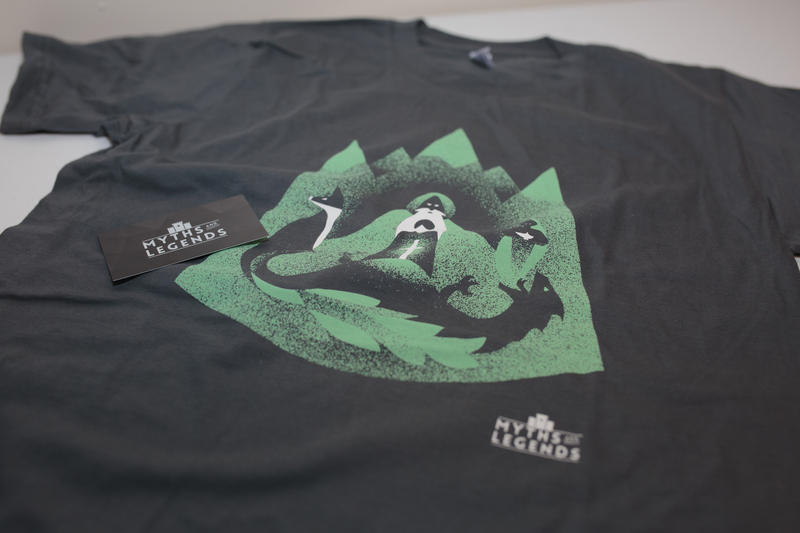 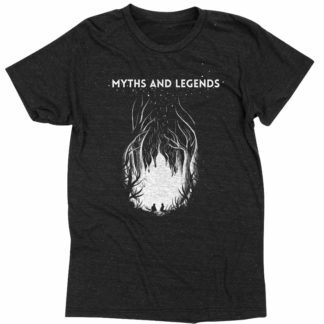 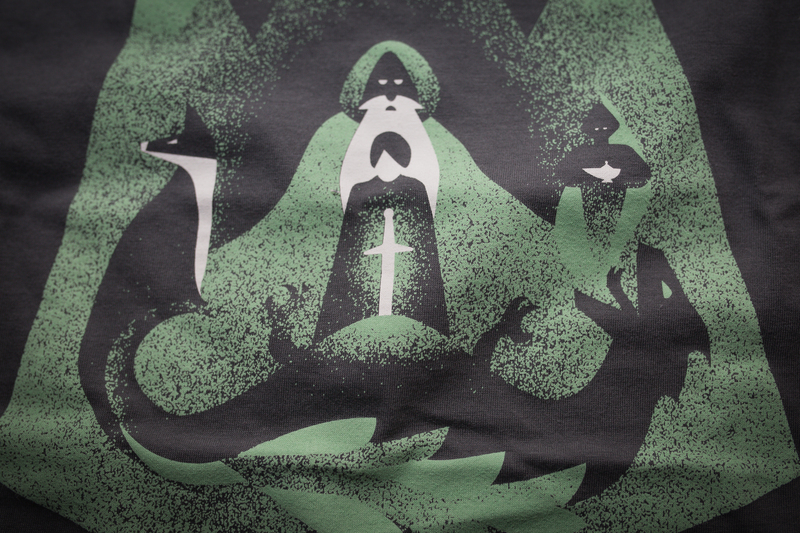 A handful of Myths and Legends tales on a light gray shirt. Design by the talented Brooks Chambers (brookschambers.com). 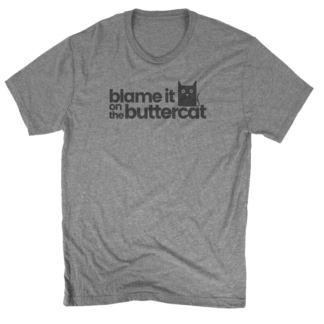 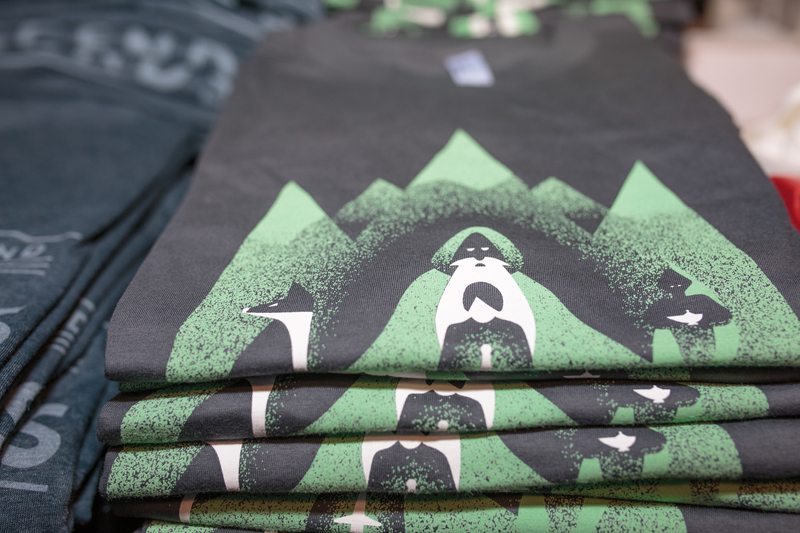 A story within a story, all on a soft gray T-shirt. 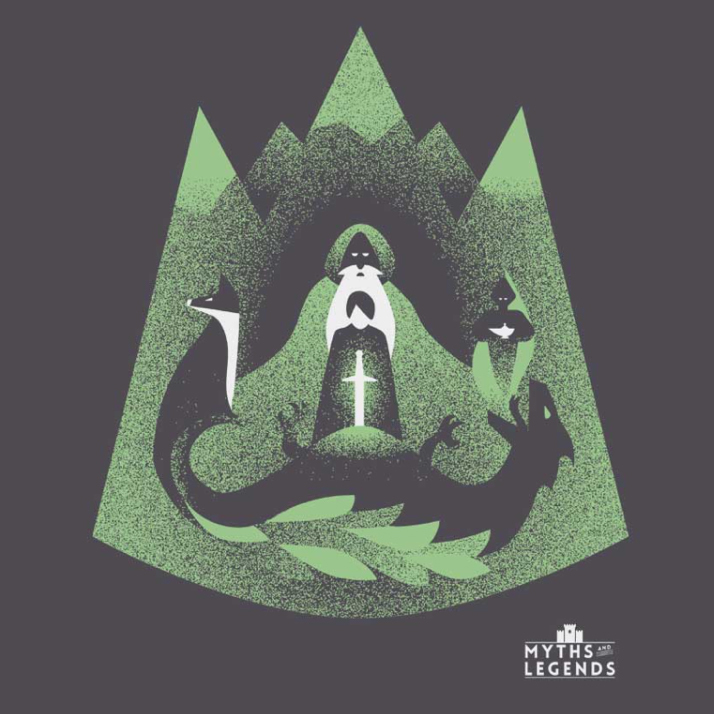 You’ll see characters from favorite episodes past: Aladdin, the Genie, Fafnir… Look again, and you’ll see Merlin, King Arthur, Excalibur, and the Kumiho, all within a mountain. 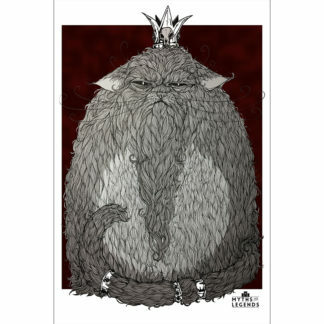 Or… is it a crown? 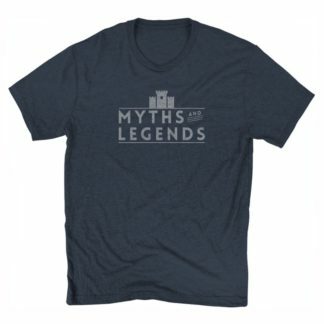 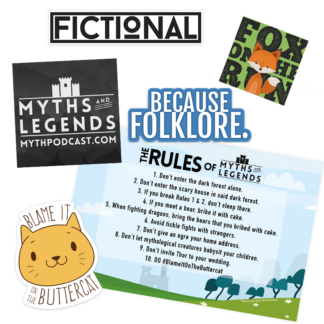 That’s Myths and Legends.